I’ve been on a keto kick lately (if you couldn’t tell) so I’ve had to get a bit creative with some of my favorite recipes. The low carb wraps you’re about to see today have only 2 grams of net carbs and even your kids will like them! 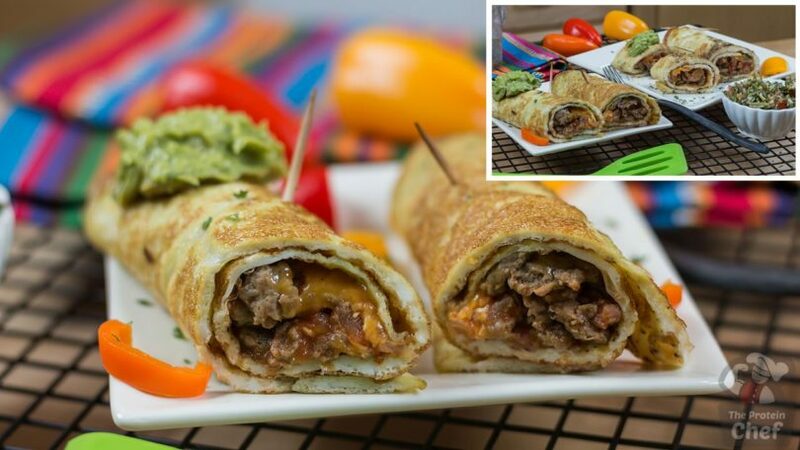 First we gotta make our 0 carb tortillas and since it’s breakfast the best way to do this is with some eggs! Mix up 1 large egg and 3 large egg whites into a bowl, turn a burner on medium heat, and coat a stove-top pan with some non-stick cooking spray. Once your pan heats up, add your eggs in, throw on some black pepper, and cover for a couple minutes or until it moves around freely in your pan. Flip and repeat. If you did it right you should have a pretty solid egg “tortilla”. Bored or sick of your regular egg tortilla? Add in other spices or herbs to switch up the flavor! Next take out a baking sheet and line it with some parchment paper. Now in each tortilla you’re gonna wanna add in 1-2 ounces of some pre-cooked crumbled sausage (whether or not you wanna use a lower fat turkey sausage is up to you or if you don’t like pre-cooked stuff you can make your own sausage and crumble it up), 1/2 tablespoon of bacon bits, some chopped up peppers, 2-3 tablespoons of salsa, and 1/8 cup of your favorite cheese. You want them pretty thin so don’t overpack them. Roll them up tight, throw a couple toothpicks in them, place them seam side down, and then stick them in the oven on 425F/218C for around 8-10 minutes or until your cheese has melted (they should be a bit crispy on the outside too)! 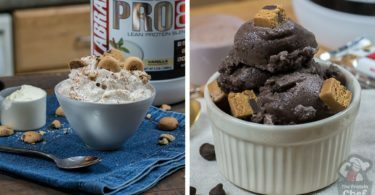 Not only are these things addictive and delicious, they pack some seriously awesome macros too! 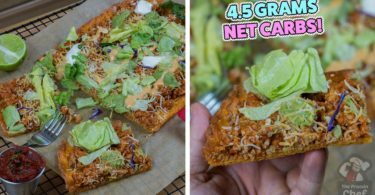 The Easiest Low Carb Taco KETO Pizza Recipe! Liked this recipe, lost a few pounds by cutting out the bread at breakfast. I also added a tall glass of milk with a scoop of protein powder for more protein All your recipes are very flavorable to keep my diet interesting. Thank you so much for everything and I suppose this is an older video, but eggs cost $1.29 per dozen at Save a lot. We buy 6 dozen at a time. Awesome Rob! Thanks for the feedback and keep it up!